School cafeterias are like an obstacle course. There are tons of tables to weave through, backpacks to avoid, flying food to dodge, and to top it all off, you have your hands full with your tray of food. 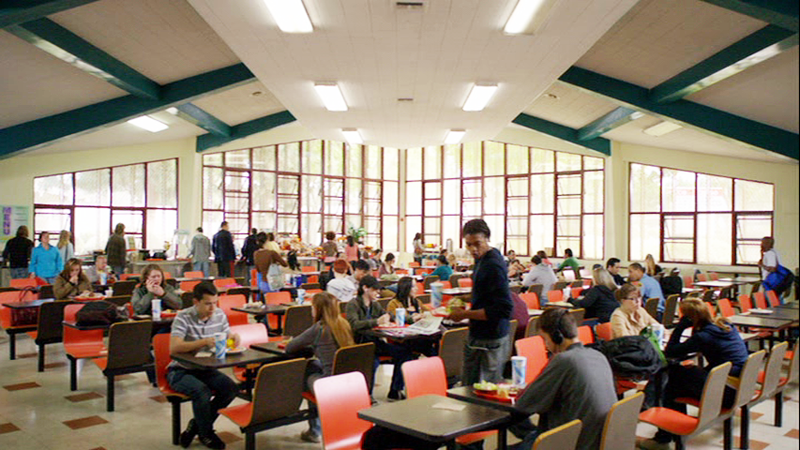 Cafeterias are busy places. Each table is usually owned by a certain group. Sitting down at the wrong table can be a huge social mistake. You can be branded for your entire school career with one wrong move in the cafeteria. A school cafeteria has a set of written and unwritten rules. There are certain rules that might be posted on the wall. Things like throw away your trash and no food fights allowed. They probably have many un-written rules as well. Things like the third table on the left is always where the basketball team sits. You know that you don’t EVER sit down there if you’re not on the team. 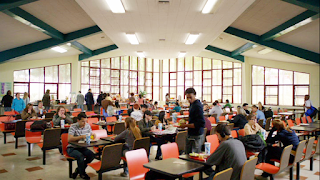 The rules of your school cafeteria are a lot like some of the social rules in Jesus’ time. John 4 tells the story of the Samaritan woman. In Jesus’ time there was an unwritten rule that you didn’t talk to Samaritans if you were a Jew like Jesus was. The Samaritans dressed weird, and as a Jew you wouldn’t EVER sit down and eat with them. Jesus did something crazy here. He talked to a Samaritan woman about his faith. He shared with her the way to salvation through Him. For Jesus to do this it probably felt a little awkward. He had been taught that He wasn’t supposed to talk to Samaritans. Yet He stopped what He was doing, and showed her that He cared. He then was able to teach her about how He was the way to be saved and come into a relationship with God. This story should challenge us. How many times do we not take the time to talk to someone because of what others might think. We don’t leave our circle of friends and step out. We many times don’t push beyond what feels comfortable and what is acceptable to help share the love of God with someone who is hurting. Don’t let yourself become comfortable to only talk to those who are socially acceptable or those who sit at the right lunch table. God wants to use you to reach the people all around us. Ask God to show you who you can share your faith with this week! Dear Lord, help us to reach out to those around us today. Help us not just talk to those we are comfortable with. In the Name of Jesus, Amen.